If you like convenience, maybe taxi will be your perfect choice as you do not worry about getting lost. On the other hand, if you like new things and desire to understand more about local life, driving might be better option. However, before hopping on a motorcycle or a car, you have to know something first. Similarly, you also should not control a vehicle after drinking. It is dangerous for not only other people but also yourself. 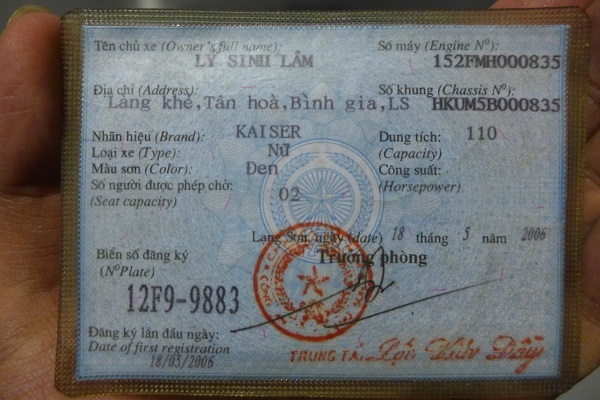 If you have a valid IDP (International Driving Permit), you only need a vehicle endorsement to travel around this city, and even around Vietnam. If you do not own an IDP, but you have a driving license in your home country which allows you to operate both car and motorbike, you just need to convert your license to a valid one before hiring any metal horses. If your driving license only gives you the right to drive an automobile, you can fill in a car hiring form but jumping on a motorcycle is not permitted without taking a driving test. Good news is that you will be exempted from a theory test. If there is no any driver’s license in your hands while in Hanoi, the only way you can race down the street is to take part in, actually pass both driving test and theory test. Besides, being fluent in Vietnamese is a must as there is no translator in the test and it is written in Vietnamese. Therefore, if you are a fan of adventurous tours or you are just keen to try riding a motorcycle in Hanoi crazy roads, please prepare all necessary documents before going to this wonderful city. Otherwise, riding a bike can be a perfect alternative as it can also give you a sense of Hanoi road. Driving a motorcycle or an automobile? Hanoi infrastructure might not be as good as the one in your country. The roads here are almost always crowded; many people, including tourists are easily stuck in traffic congestions, especially in rush hours. As a result, a car might not be the best option. In addition, driving an automobile cannot give you a taste of what locals often do. In fact, majority of Vietnamese travel by motorbike, as it is more flexible and economical compared to its four wheel counterpart. However, an automobile also has its own advantages. The number of people having cars in Hanoi is increasing rapidly not only due to the fact that the economy is developing, but also owing to many benefits people get from driving this vehicle. One of them is being safe. Hanoi’s crazy traffic is acknowledged, it is hard to get used to its special moving rhythm. Therefore, you might feel more confident if you sit in an isolated space while moving around this city. Furthermore, the air pollution in Hanoi is quite serious. Driving a car may protect you from many pollutants in the air, which might make you sick. 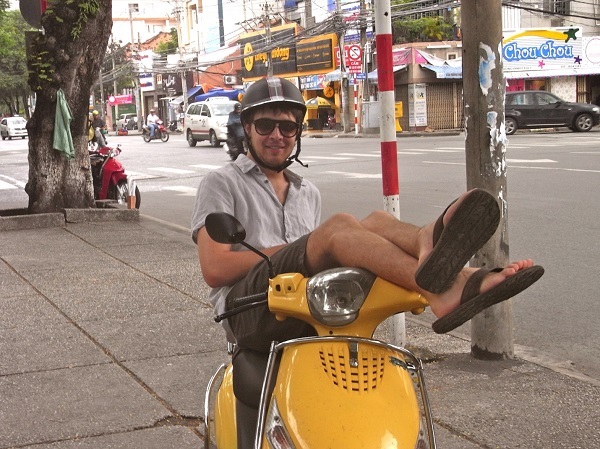 In conclusion, depending on your situation, you can choose the right means of transportation in Hanoi for yourself. The most important thing you need to know before driving any vehicle in Hanoi is to obey the law; that’s it.